Do you know the story of the Deathly Hallows? 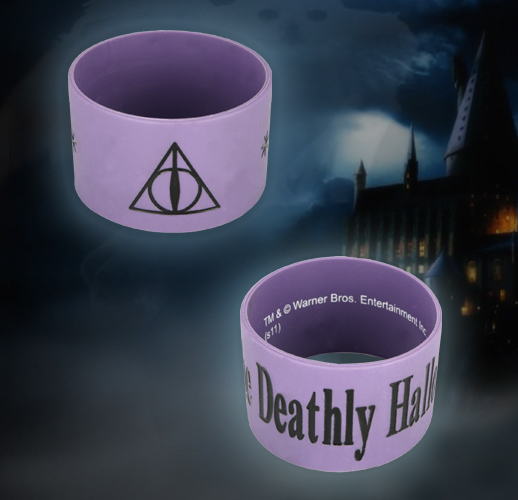 Fans of the magical Harry Potter series will love this soft silicone bracelet, inscribed with “The Deathly Hallows” and its symbol. Purple band measures 1.5″ wide and stretches to fit most wrists. Durable and comfortable, so you can wear it everywhere.